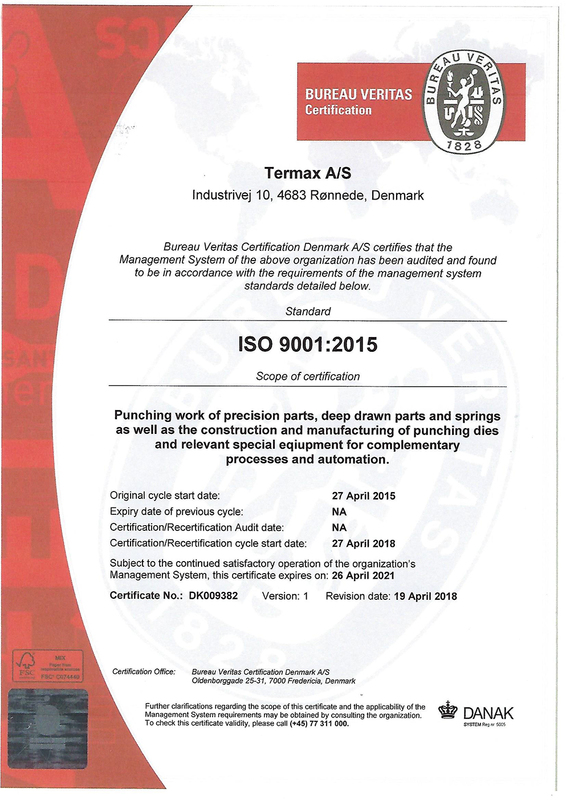 Termax is a specialised subcontractor within punching work and the manufacturing of punching tools. Our strong engineering background has helped us gain our reputation as a highly qualified and reliable partner. 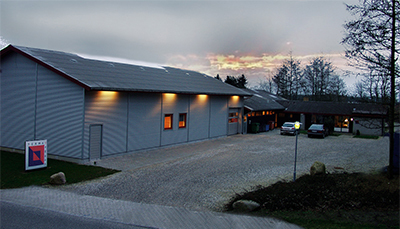 Termax is a privately owned and well-established family company based in Rønnede. Since 2004, run by Svend Peter Revsbeck, second generation. By leveraging modern technology and focusing on innovative development, we have succeeded in ensuring a positive development of the company. Termax has a clear strategy based on strong fundamental values. We use these values to navigate in our day-to-day operations. For Termax, a strong internationalization is very important, and therefore Termax treats its international costumers and partnerships with great care, which is clearly evidenced by the fact that the company is exporting more than 50 % of its production. Customer Satisfaction, we want to be an exemplary partner to our international customers and business relations. Continuous Improvement by constantly improving products and services. Technical Innovation by investing in state-of-the-art technology and adding value to our own business and our customers’ businesses. With courage, flexibility, and willingness to continuously invest in technology and innovation, Termax will ensure that it remains a reliable partner to its customers and business partners. All procedures in development, manufacturing, and logistics are integrated into our quality management and are subject to an on-going evaluation process. Our quality management is certified as per ISO 9001:2015.